*Note: To keep ribbon ends from fraying, burn ends lightly. 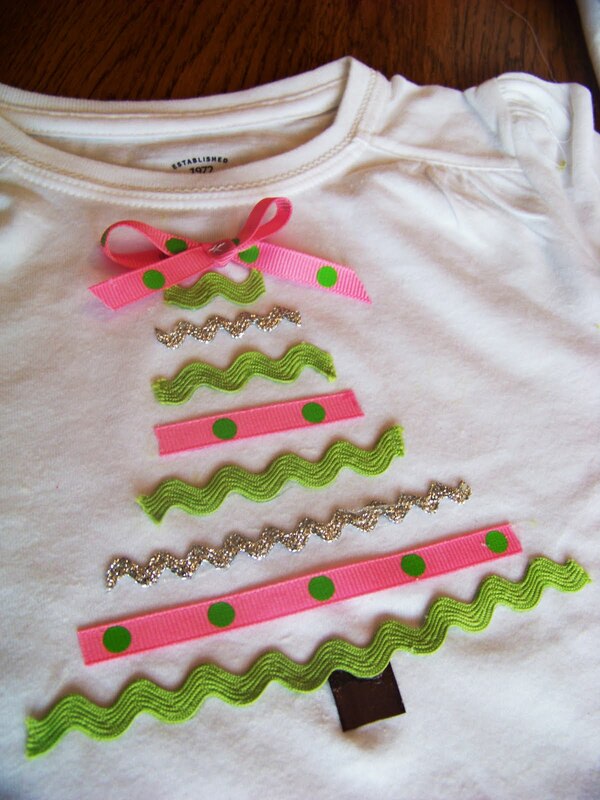 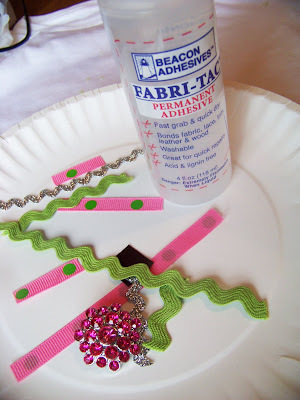 You can make a simple tree tee too! 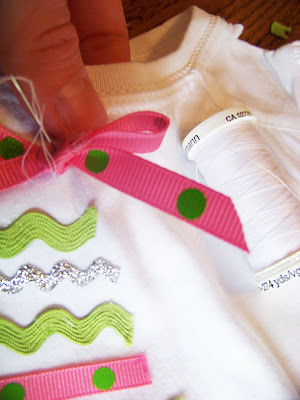 I used fabric glue for the tee, but you can sew these on too.